Beautiful, Single-Story Home within The Lakes, Master Planned Gated Community in Discovery Bay! This Home Shows Like New, with 3 Bed + 2.5 Bath + Den + 3 Car Tandem Garage with Fully Landscaped Front & Back Yard! Boasts More Than $40k of Elegant, High-End Finishes & Upgrades t/o! Stunning Gourmet Kitchen Offers Granite Slab Counters, Chocolate Stained Shaker Cabinets, Large Center Island w/Breakfast Bar, SS Appliances, Decorative Back Splash, Walk-in Pantry & Separate Dining Area. Also Features Plantation Shutters, Staggered Tile Flooring & Plush Carpet in All the Right Places! Generously Sized Master Suite Offers a Lrg Walk-in Closet w/Built-In Shelving, Dual Vanities, Soaking Tub, Stall Shower & Upgraded Fixtures! 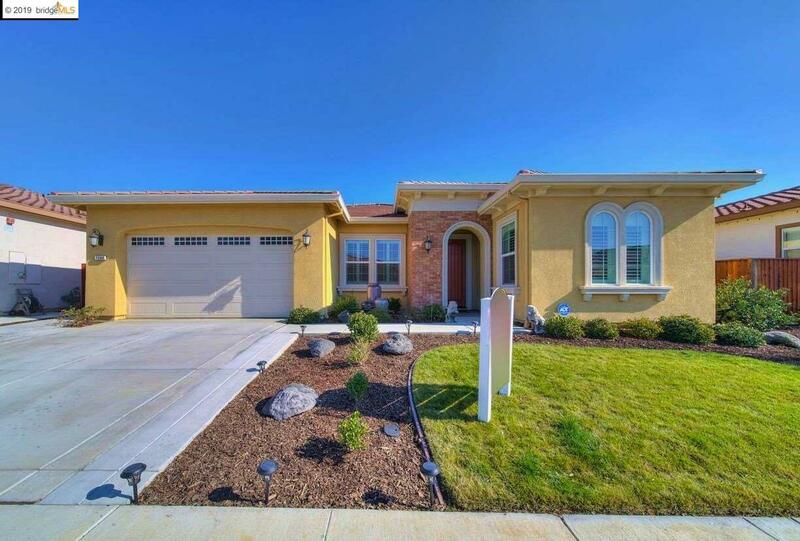 Open Concept Floor Plan Features a Great Room off the Kitchen w/Dual French Sliding Doors Opening to the Tiled Outdoor California Room w/Cozy Fireplace, Above Wiring for TV & Extended Stamped Concrete Patio w/Added Walkways to Side Yards & No Rear Neighbors! Turn Key Ready!